“There will be some form of escalation,” Kamran Bokhari, an expert on Pakistani-Indian relations at the Center for Global Policy with the University of Ottawa told Bloomberg. “Pakistan will have to strike back — I am not saying this will lead to an all out war, but I don’t see that it’s over.” Indian Army, Navy and Air Force chiefs meanwhile praised Prime Minister Narendra Modi for his bold actions and underscored the military's preparedness to deal with "any possible retaliatory action" by Islamabad. The incident marks the most dangerous and significant escalation since 2001, when after a mass terror attack on government buildings in New Delhi, both countries moved ballistic missiles and troops to their border amidst heated rhetoric on who's to blame for the Pakistan-based Jaish-e-Mohammad (JeM) bombings. 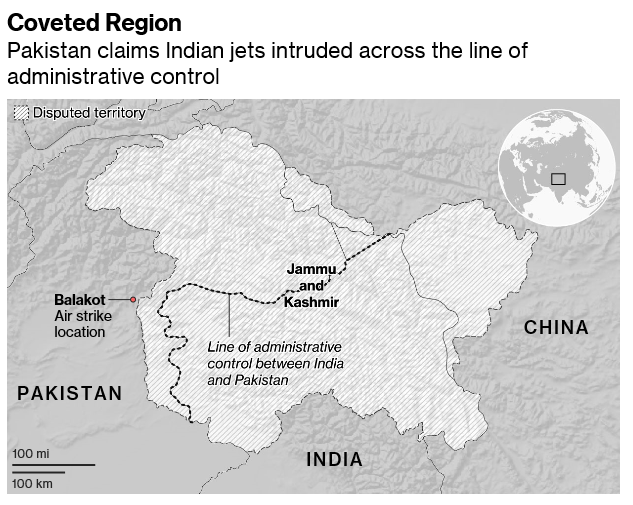 Tuesday's provocative cross border Indian jet raid was in retaliation for one of the deadliest terror attacks in the history of the long-running Kashmiri insurgency. Earlier this month, a Muslim ‘mujahidin’ drove a car loaded with explosives into a bus packed with Indian paramilitary soldiers, killing more than 40 in what became known as the Pulwama attack. It appears the response against the terror group finally came, with Indian fighter jets carrying out a tactical strike on what the Indian government described as a training camp for the militant group Jaish-e-Mohammed, killing more than 300 militants and infuriating the government in Islamabad. But as we detailed earlier, Pakistan has rejected this version of events. Prime Minister Khan’s office said Pakistan would respond “at the time and place of its choosing,” rejecting India's account of targeting and wiping out terrorists. Instead Pakistan is claiming Indian bombs merely fell in an open field, and published photographs in an attempt to prove the assertion. “Once again the Indian government has resorted to a self-serving, reckless and fictitious claim,” the statement from Khan’s office said further. India's Minister of State for External Affairs VK Singh countered that "terrorism must be eradicated" and given the Jaish-e-Mohammed camp was operating out in the open, "India was forced to take action so that these things can be stopped." Indian officials have emphasized they gave Pakistan many warnings and chances to clamp down on the terror training camp. India has previously claimed Pakistan had a "direct hand" in the recent February 14 Pulwama bombing. "It is a well-known fact that Jaish-e-Mohammed and its leader Masood Azhar are based in Pakistan. These should be sufficient proof for Pakistan to take action," India's Foreign Ministry said in a Feb. 19 statement. 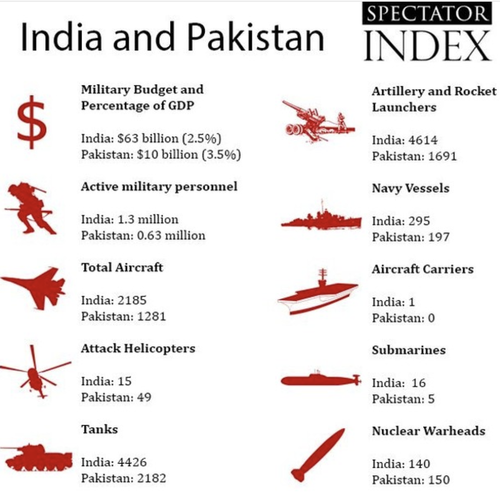 How do longtime bitter enemies and rivals Pakistan and India stack up against each other militarily? India has since repeatedly promised it will take steps to "isolate" Pakistan internationally, including economic and diplomatic measures. Islamabad has vehemently denied all charges that it's facilitated any terrorist activity on Indian soil, or given any freedom for JeM to operate or run training camps. Meanwhile, powerful countries in the region such as China and Australia have urged a calming of tensions. China called on both sides to "exercise restraint" in the immediate aftermath of Tuesday's airstrikes. "Both India and Pakistan are important countries in South Asia," China's Foreign Ministry spokesperson Lu Kang said to reporters. "We hope that both sides can exercise restraint, and take actions that can contribute to the region's stability and improve their mutual relationship, but not the opposite." 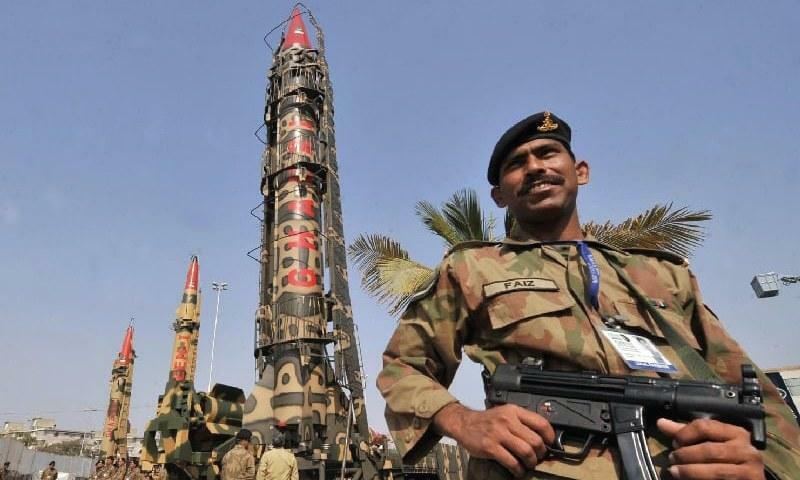 Indeed, considering both Pakistan and India have nuclear warheads each in the range of well over 100, with many of these likely pointed at the other just across the border, the potential for the region to enter an uncharted nuclear conflagration remains perilously high.